In a series of court filings late last week, Apple officially moved to halt the 'unconstitutional' compliance monitoring imposed as part of the government's e-book antitrust lawsuit, while the Department of Justice defended the monitor's actions and urged that the oversight be upheld. 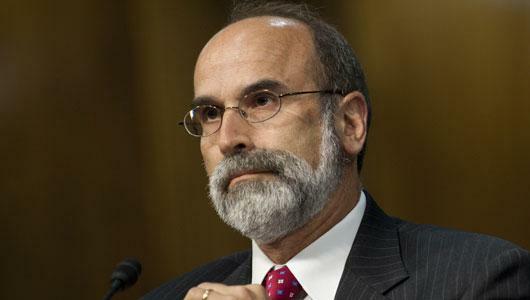 Michael Bromwich, the third-party monitor assigned to the case by presiding Judge Denise Cote, "is conducting a roving investigation that is interfering with Apple's business operations, risking the public disclosure of privileged and confidential information, and imposing substantial and rapidly escalating costs on Apple that it will never be able to recover," Apple's lead appeals counsel Theodore Boutrous argued in the company's motion. The documents were first noticed by Fortune's Roger Parloff. Apple wants to immediately suspend the portion of the September judgement that authorizes Bromwich's hiring pending the outcome of the company's appeal of the case's guilty verdict. The judgement's other orders, such as the staggered renegotiation of Apple's contracts with publishers, are not included and many have already been implemented by Apple. The motion largely mirrors a complaint filed by Apple just after Thanksgiving in which the Cupertino, Calif.-based company called into question Bromwich's fee structure as well as the manner in which he had begun to conduct the monitoring. The earlier complaint was also the first time Apple brought up the question of constitutionality on which the new motion hinges. Apple "has a substantial possibility of success" in overturning the monitoring provisions on appeal, Boutrous argues, in part because the court overstepped their constitutional authority with the imposition of the compliance monitor by granting him investigative powers that are not given to the court under Article III of the Constitution and thus cannot be transferred to the monitor. Boutrous also cites the "irreparable harm" being done to Apple due to the distraction caused by Bromwich's requests for wide-ranging interviews with senior Apple executives. At a bare minimum, Apple officers, directors, and management are being harmed by the time-consuming distraction of Mr. Bromwich's roving investigation. These individuals are subjected to Mr. Bromwich's indiscriminate demands for interviews and information--even where, like director Al Gore, they are not directly involved in the company's antitrust compliance efforts. At worst, Mr. Bromwich's inquisitorial zeal for communication with Apple's employees "unfiltered through outside counsel" fosters an atmosphere of suspicion that is antithetical to the efficient operation of a major corporation. In either case, Mr. Bromwich's investigation significantly interferes with the ability of Apple's managers to lead the company. For its part, the Department of Justice disagrees with Boutrous's assessment of the situation and, in a response to Apple's motion, comes to Bromwich's defense. Federal antitrust lawyer Lawrence Buterman accuses Apple of engaging "in a systematic and untoward campaign to publicly malign the External Compliance Monitor and prevent him from carrying out his responsibilities." Bromwich's conduct, Buterman writes, has been "at all times appropriate and consistent with his impeccable reputation." Buterman also dismissed Apple's constitutional claims outright, calling them a "misreading" of the original injunction that are "wholly without merit." Because "Apple has not presented any legitimate arguments as to why its motion will be successful on the merits," he argues, "Plaintiffs submit Apple's application for a stay can be denied summarily." Judge Cote will hear oral arguments on the motion on Jan. 13.